“We understand that here in Samoa there is quite a sizeable number of Fijians working in the hospitality industry, domestic workers as well. “We would like to get to them and leaders of the Fijian associations so we can relate to them first of all to abide by the laws of Samoa, as well as to look at their wellbeing. Fijians not having proper residency documents is not only a problem in Samoa, but in Tonga and the Cook Islands, says Ratu Seremaia Tuinausori Cavuilati. 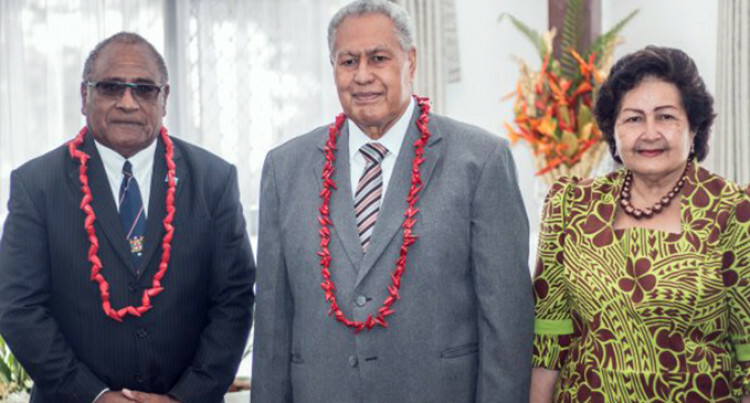 Ratu Seremaia is the new roving ambassador-designate of Fiji to the Pacific Islands and special envoy to regional organisations under the Council of Regional Organisations in the Pacific (CROP). He presented his credentials to Samoa’s Head of State, His Highness Tuimalealiifano Vaaletoa Sualauvi II at Vailele, Samoa, this week. “Part of the role of the roving ambassador is to look at Fijians living abroad and ensure that they are legally in the country,” he said. “We understand that here in Samoa there is quite a sizeable number of Fijians working in the hospitality industry, domestic workers as well. “We would like to get to them and leaders of the Fijian associations so we can relate to them first of all to abide by the laws of Samoa, as well as to look at their wellbeing. “That is something we need to look at. We have in Fiji our Ministry of Employment that also looks at Fijians living abroad to make sure they are operating within the law and their wellbeing is protected. There are issues with Fijians having difficulties with their passports and immigration, Ratu Seremaia said. “We need to rectify these by having government to government discussions and coming to an understanding. “There is a sizeable number of Fijians in Nauru, apart from teachers and nurses who come under the volunteer scheme; we have others who have come through Australian Aid. “They too have their issues and the association represents them. So through those channels we have come to know of some workers having difficulties with their passports, and immigration issues. “It is always good to register with the National Employment Centre. So that when something happens to them they are registered,” he said.